There are two ways to book a service with us here at Slick. The easiest is to Pre-Pay using this website - simply purchase the product that suits you and post to the postage address below! The postage cost applied at checkout covers return postage of your fork. We will be in contact with you using the email address you use during checkout to discuss your needs or requirements, usually within a few hours of the booking. Secondly, You can email us to manually book. 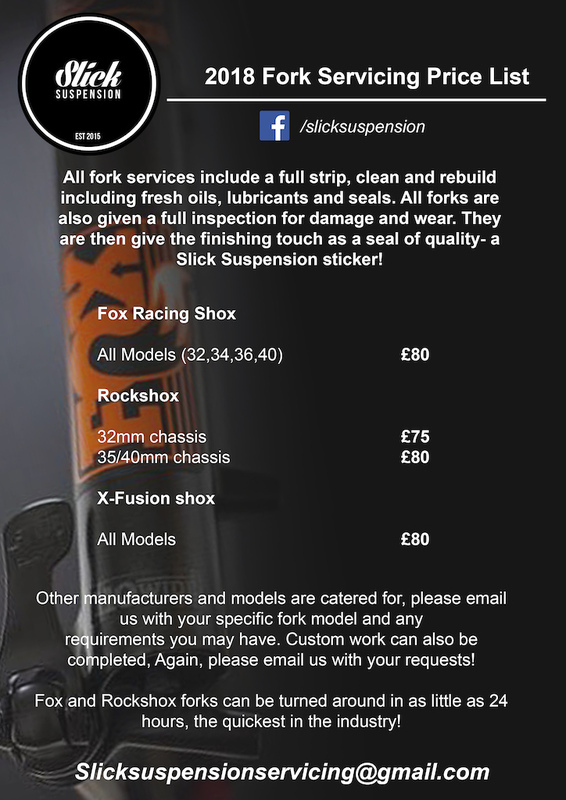 Forks can also be dropped to us if you are local to save on the postage costs. If this suits you, please do not hesitate to contact us!